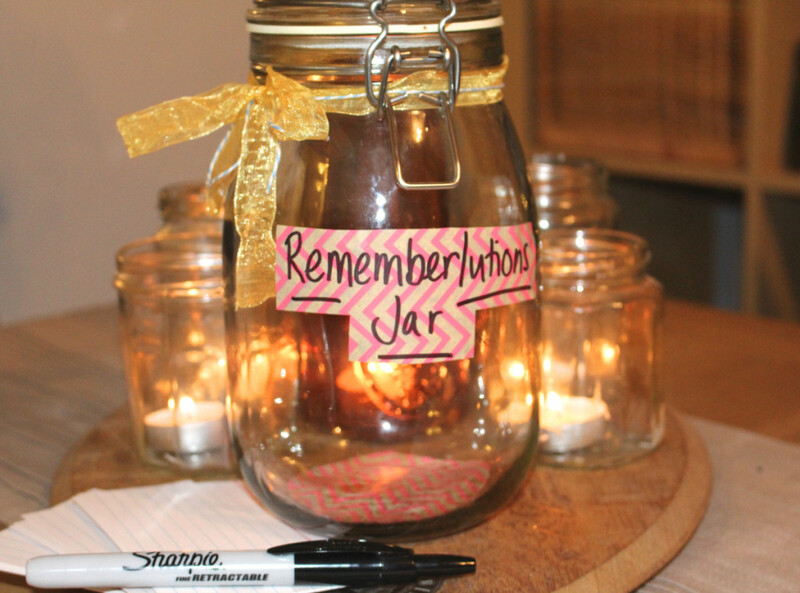 Every time you do something awesome you celebrate by writing it down and popping it into the “rememberlutions” jar. Then, whenever you feel a little low, you simply pop the lid, have a read and remind yourself how good things really are. At the end of 2016 you can look back over your beautiful memories and accomplishments from that year. You with me? All you need to make yours is a jar – IKEA sell them by the bucket load – and then you decorate. Simple. How you choose to decorate yours is entirely up to you. I’ve gone for ribbon, coloured string and some leftover wrapping paper. I’ve positioned mine in the middle of a load of candles on my dining table, so I’m constantly reminded to fill it. And there you have it, happiness in a jar. Let me know if you plan on doing something similar this year!